Almost a year into its establishment, Dining Park has become a popular venue in the midst of Purano Baneshwor. Targeting the missing gap of a space for all purposes—casual family gatherings, corporate get-togethers, conferences, confidential business meetings, and private rooms, along with the option of fine dining and a coffee spot, this place has it all! Close to Apex College and opposite Peepal Bot, in the heart of the hustle and bustle of the inner city, you enter a space you wouldn’t have imagined to be there. A little confusing at first, since the area is enormous, your eyes go directly to the coffee hub, where you are greeted with friendly staff and a selection of bakery goodies, all made in-house. Finding your spot at Dining Park can be difficult because of the many choices you are presented with; the terrace, the bar, the fine dining area, the garden seating, or one of their private rooms! The ambience is amazingly calm, and service comes with a smile on each server’s face, along with discrete attentiveness. 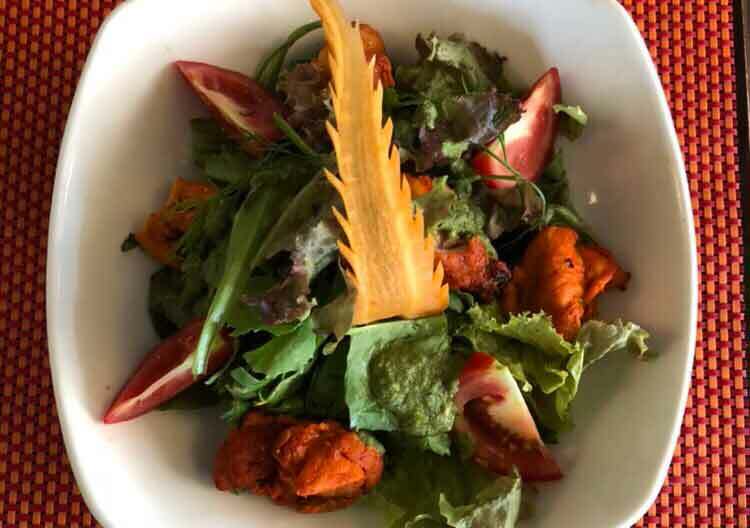 A multi-cuisine restaurant with a hospitality team of over 100 individuals, enough to run a 3-star hotel, Dining Park Restaurant and Lounge Bar offers more than meets the eye without putting much of a dent in your pocket. An interesting concept of the restaurant is the open kitchen on the side of the garden seating area. And, down what seems like a secret path, we come across their small conference hall that can accommodate 80 people at a time, and further down, an open area with an outdoor bar, barbecue station, and you will not believe it, a discotheque! Sound-proofed. Above this is their bigger conference/party area for over 350 persons. The place does not stop surprising you. Dining Park is definitely worth a visit, where you are sure to delight in the array of tasty delicacies on their menu and the many options of comfortable seating! Something fried, something easy, is available everywhere in the city’s numerous eateries, wherever you are. However, if you are on the lookout for a healthy choice of dishes from a reliable place, where you can see where it is coming from and how it is being prepared, and where you can trust that what you are ingesting is wholesome and nourishing, or if you are counting calories and just feel like being healthy for the day, Dining Park is the place to go to. You can pop in at any hour from 6 a.m. to 10 p.m., seven days a week! Still adding to their already outstanding selection, the chef is trying out more fusion options for all taste buds and preferences.